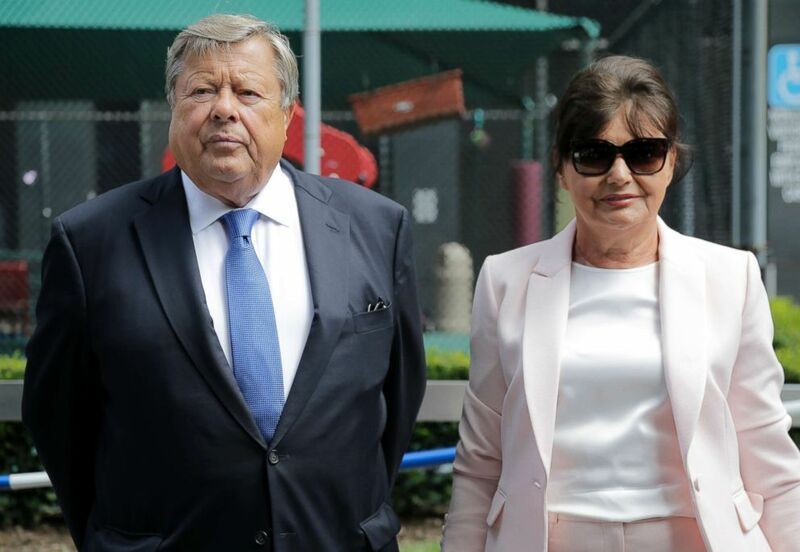 Melania Trump's parents are now citizens, apparently helped by chain migration. 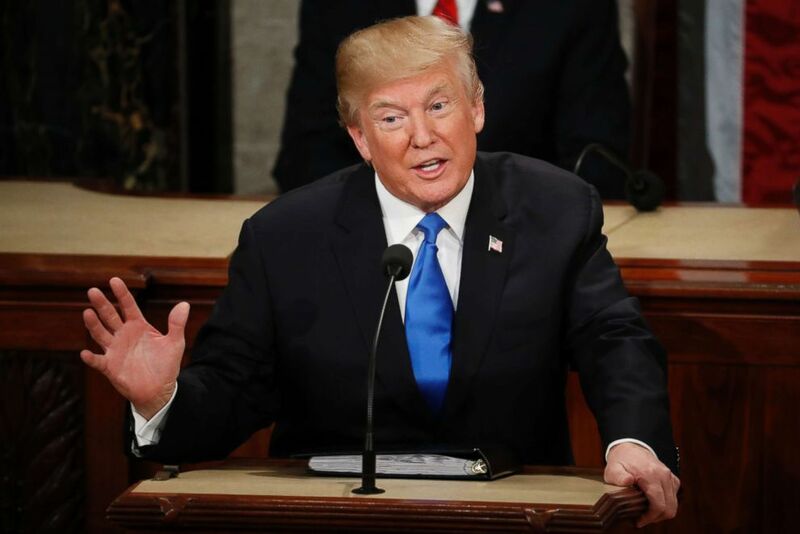 President Donald Trump has often slammed the so-called "chain migration" process by which Americans help foreign-born relatives gain citizenship. Now it appears his wife Melania Trump helped her parents gain U.S. citizenship through this very process. Sources tell ABC News that the first lady sponsored her parents' green card application, a step in the process toward their becoming citizens. 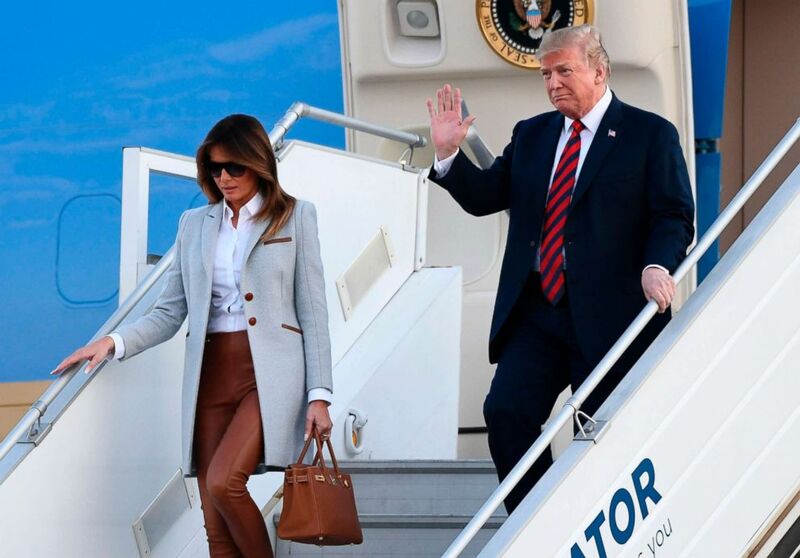 Melania Trump was born in Slovenia and moved to the United States, eventually gaining citizenship, and on Thursday her Slovenian parents Viktor and Amalija Knavs were granted citizenship as well. Neither the first lady's office nor the White House has commented on the couple's becoming citizens. (Seth Wenig/AP) Parents of First lady Melania Trump, Viktor and Amalija Knavs, listen as their attorney Michael Wildes, makes a statement in New York City, Aug. 9, 2018. The U.S. allows citizens and permanent legal residents to sponsor certain immediate family members for residency, a process Trump regularly derides as "chain migration," a term that many, including immigration rights advocates and Democrats, view as an anti-immigration slur. The Knavses were eligible for sponsorship by their daughter because she is a U.S. citizen. Citizens may sponsor other types of immediate family members for immigration, such as brothers and sisters, although except for spouses, parents and young children, the numbers they can sponsor are limited. Green card holders, in contrast, may petition only on behalf of spouses and unmarried children. (Jonathan Nackstrand/AFP/Getty Images) President Donald Trump and First Lady Melania Trump disembark from Air Force One upon arrival at Helsinki-Vantaa Airport in Helsinki, July 15, 2018. Trump has often called for an end to "chain migration," sometimes blasting it as a security threat. He has repeatedly tied "chain migration" to terrorism by citing the case of Sayfullo Habibullaevic Saipov the suspect charged with killing eight people on Oct. 31, 2017, after ramming a truck down the bike path along the West Side Highway in New York City. But Saipov, from Uzbekistan, entered the United States in 2010 through a different process, the diversity visa lottery program, which admits up to 50,000 people per year from countries with low levels of immigration to the United States, according to PolitiFact. The fact-checking news outlet also cited multiple news sites' reporting that Saipov got married in the U.S. in 2013 to a woman who already lived here, also an Uzbek national. Here are eight times Trump has slammed "chain migration." "CHAIN MIGRATION cannot be allowed to be part of any legislation on Immigration!" he wrote. "Chain migration is one of the disasters. You allow one person and in that one person brings in 10 or 12 people," Trump said to Hannity. Trump talked at the Nov. 1 Cabinet meeting about the truck attack in New York by Saipov. "We do not want chain migration where somebody like him ultimately will be allowed to bring in many, many members of his family." PolitiFact rated Trump's repeated claims that Saipov had sponsored 20 or more people for immigration into the U.S. as false. Green card holders, such as Saipov, are only able to petition their spouse and unmarried children. Saipov had three children in the U.S. who are all citizens. And, there are no reports of Saipov, then 29 years old, fathering more than 20 kids before he left Uzbekistan and petitioning for them to come to the U.S., PolitiFact said. Trump's comments about "chain migration" were featured on a video posted on his Twitter account the day after the Cabinet meeting, with the caption: "Congress must end chain migration so that we can have a system that is SECURITY BASED! We need to make AMERICA SAFE! #USA." (Pablo Martinez Monsivais/AP, FILE) President Donald Trump delivers his State of the Union address to a joint session of Congress on Capitol Hill in Washington, D.C., Jan. 30, 2018. "The fourth and final pillar protects the nuclear family by ending chain migration. Under the current broken system, a single immigrant can bring in virtually unlimited numbers of distant relatives. Under our plan, we focus on the immediate family by limiting sponsorships to spouses and minor children. This vital reform is necessary, not just for our economy, but for our security, and for the future of America. In recent weeks, two terrorist attacks in New York were made possible by the visa lottery and chain migration. In the age of terrorism, these programs present risks we can just no longer afford. It is time to reform these outdated immigration rules, and finally bring our immigration system into the 21st century," he said. "My administration has identified three major priorities for creating a safe, modern, and lawful immigration system: fully securing the border, ending chain migration, and canceling the visa lottery. Chain migration is a disaster, and very unfair to our country. The visa lottery is something that should have never been allowed in the first place. People enter a lottery to come into our country. What kind of a system is that? It is time for Congress to act and to protect Americans." "And chain migration -- think of that. So you come in, and now you can bring your family, and then you can bring your mother and your father. You can bring your grandmother. You can bring your this; you can bring -- we had somebody on the West Side Highway, which I know very well -- in Manhattan -- he ran over -- I think he killed about eight people," he said. "We have the worst laws! How about chain migration? One person comes in and you end up with 32 people. The person that ran down 18 people on the West Side Highway, he's allowed to have -- and I think eight died. He has 22 members of his family in the United States because of chain migration. So we have to change this stuff, Rush," he said. "How about chain migration? How about that? Somebody comes in, he brings his mother, and his father, and his aunt and uncle, 15 times removed. He brings them all," Trump said.